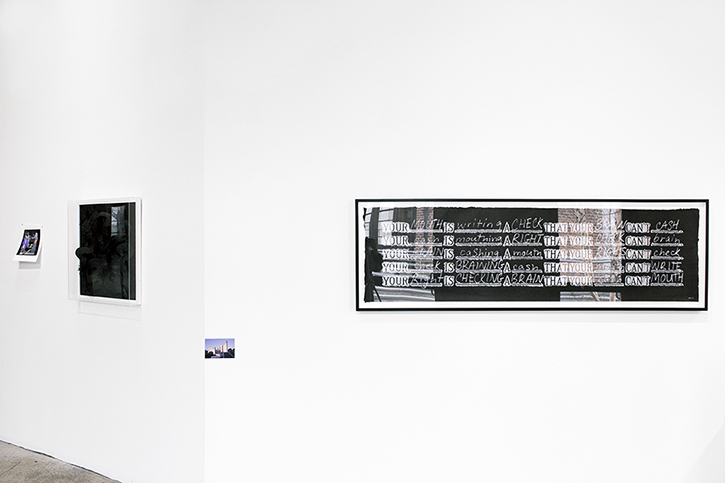 MICHAEL VELLIQUETTE: Pitch Black Serpent, 2014, Julio Cortàzar image courtesy of © The Estate of Julio Cortàzar, 2014, MARY REID KELLEY: Your Mouth Is..., 2011, LUC FULLER: Untitled (Clock Painting), 2014. MICHAEL VELLIQUETTE: Pitch Black Serpent, 2014, Julio Cortàzar image courtesy of © The Estate of Julio Cortàzar, 2014, MARY REID KELLEY: Your Mouth Is..., 2011. MARY REID KELLEY: Your Mouth Is..., 2011. LUC FULLER: Untitled (Clock Painting), 2014. Julio Cortàzar image courtesy of © The Estate of Julio Cortàzar, 2014. 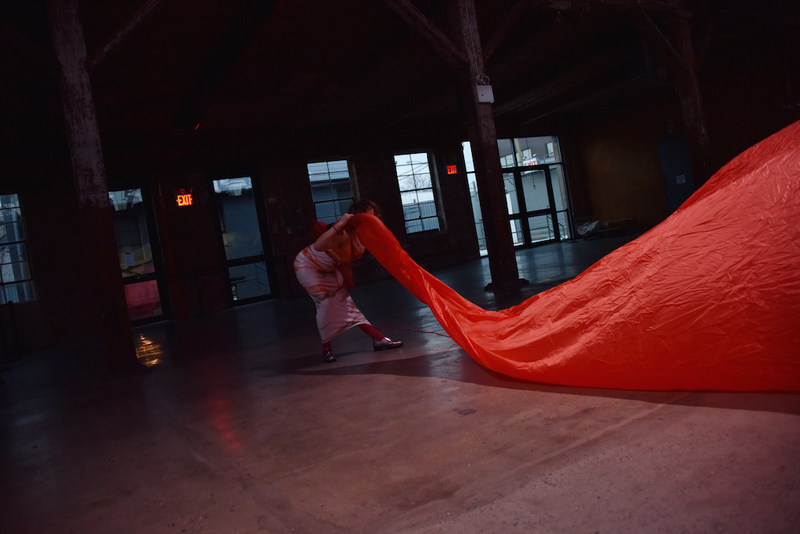 EJ HAUSER: FR (red), 2014. LUC FULLER: Untitled (Clock Painting), 2014. Julio Cortàzar image courtesy of © The Estate of Julio Cortàzar, 2014. EJ HAUSER: FR (red), 2014. EJ HAUSER: head (dk gray), 2013. EJ HAUSER: head (dk gray), 2013. SHEILAH WILSON: Build your altar, 2013. HOOPER TURNER: Woman with Pendant IV (Portrait of Jen Bandini), 2014. HOOPER TURNER: Woman with a Pendant II (Portrait of Jen Bandini), 2014. ANGELINA GUALDONI: Tissue, 2013. Julio Cortàzar image courtesy of © The Estate of Julio Cortàzar, 2014. EJ HAUSER: FR (blue), 2014. HOOPER TURNER: Woman with Pendant V (Portrait of Jen Bandini), 2014. 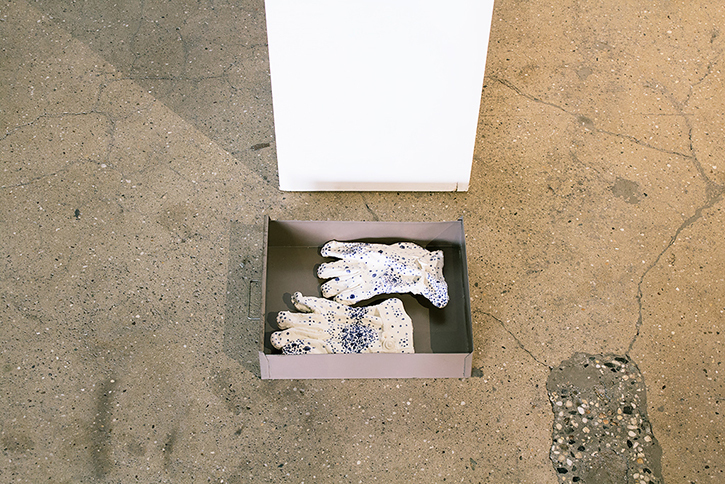 KEVIN CURRAN: Work Gloves, 2014. HOOPER TURNER: Cate Blanchett's Dress, 2014. CHRIS MARTIN: Psilocybin for Leeza..., 2006. SUSAN METRICAN: Spooklight Road, 2014. Julio Cortàzar image courtesy of © The Estate of Julio Cortàzar, 2014. 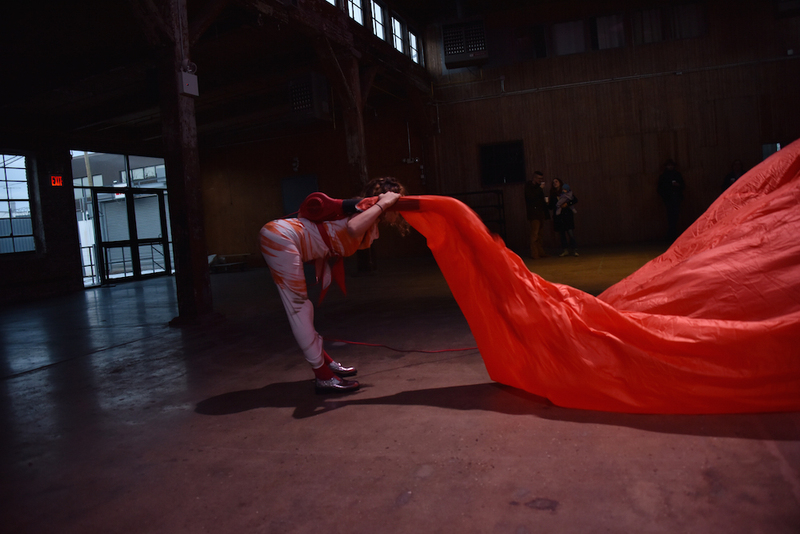 Ortega y Gasset Projects is pleased to present Tightened, As If by Pliers at the Knockdown Center in Queens, New York. 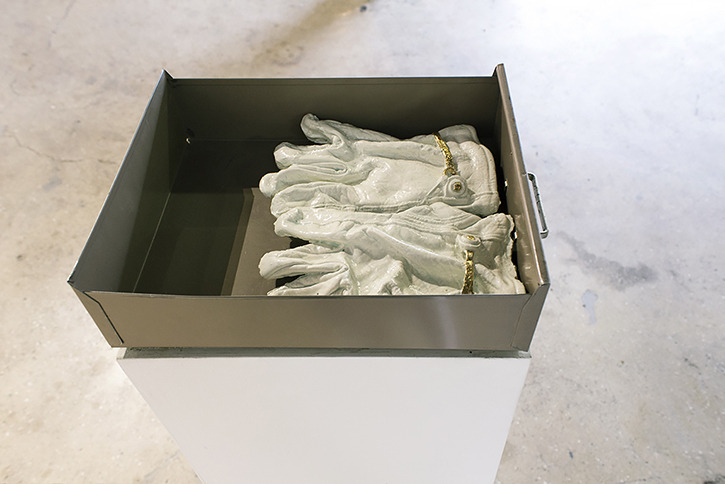 Curated by Joshua Bienko and Leeza Meksin, the show includes works by Julio Cortàzar, Kevin Curran, Luc Fuller, Angelina Gualdoni, EJ Hauser, David Humphrey, Mary Reid Kelley, Amy Lincoln, Chris Martin, Susan Metrican, Hooper Turner, Alan Ruiz, Harriet Salmon, Michael Velliquette, and Sheilah Wilson. In 1968, Argentine novelist Julio Cortàzar traveled to India to photograph an 18th century observatory built by Maharajah Jai Singh II, in Jaipur. He took nearly 300 photographs of the structure which later became the source for, and a contingent part of From the Observatory, an epic poem-narrative consistent with his genre-less writing style. Cortàzar’s photographs and subsequent writing considers the observatory in relation to the “art space.” For Cortàzar, the observatory in Jaipur was a place of deep consideration of the cosmos, but also of the dance eels do for an absent audience, of the eroticism of Jai Singh, of the depth of humor and the surface of philosophy.For Cortàzar’s artistic output there were no categories: taking photos, writing poems, drinking mates, writing a nonlinear novel in 1963: these were all natural outgrowths of an intellectual curiosity. He was not being a “Photographer,” then a “Writer,” then a “Poet.” He was Socratically committed to questioning. Through this insistence on questioning, the artists in Tightened, As If by Pliers practice resistance to the mundane anchoring of the present. Art is a window through which the past and the future is accessed from the vantage point of the present. By researching and referencing primary documents, Mary Reid Kelley, Angelina Gualdoni, Kevin Curran and Sheilah Wilson create symbolic spaces, evocative precisely because of their historical tethering. Amy Lincoln fantastical landscapes provide a ubiquitous entree point hinging on their anachronistic time and place. These spaces float between past and present, earth and sky, imaginary and symbolic, in search of another understanding, a firmer ground. The text and image in EJ Hauser and Chris Martin’s work provides the viewer another vantage point. Somewhere in between, the letters become numbers and people, speechless faces and words, while the figures take on alphabetic shapes that speak with parrhesia. Susan Metrican’s sculptural paintings and Alan Ruiz’s installations reinforce the wall putting the responsibility of support and gravity on their upturned shoulders, while Michael Velliquette’s serpents spin, emerge and recede in an effort to avoid resolution. Like Michael Jordan’s sneaker logo, David Humphrey’s multi-limbed stuffed beast hangs in the air, twisting in a violent threat. Open Saturdays & Sundays 1-6pm.